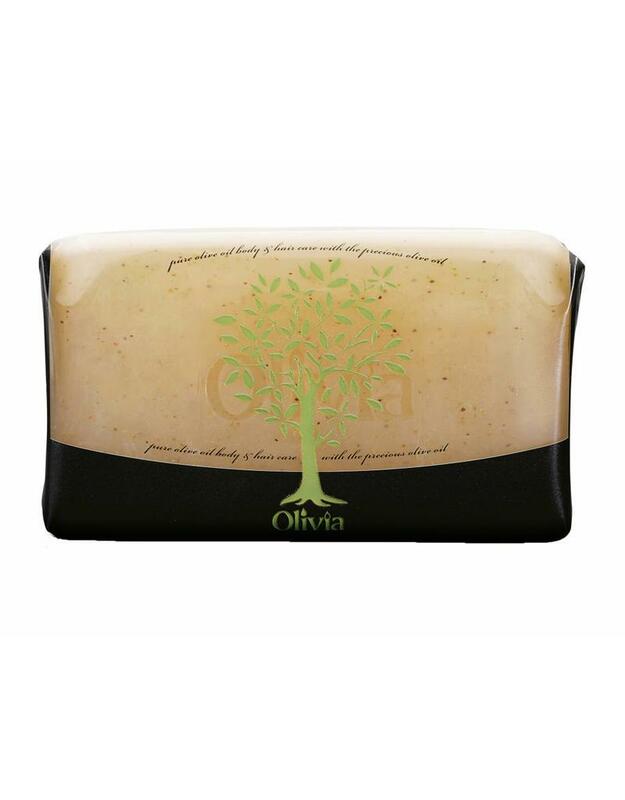 Olivia Glycerin Exfoliating Soap is a glycerin based body soap, containing grains from natural olive seeds to exfoliate and renew skin. Rich in pure olive oil, it gently removes dead skin cells while promoting the rejuvenation of the epidermis. Ideal for all skin types.